A few weeks ago I found this chair at a thrift store and decided it was coming home with me, even though I didn't really have a project for it. 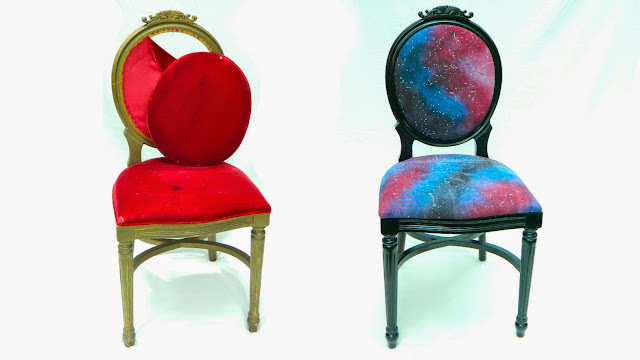 Then I remembered that I've been wanting to find a way to make GALAXY FABRIC and thought.......perhaps these two would be the perfect fit. 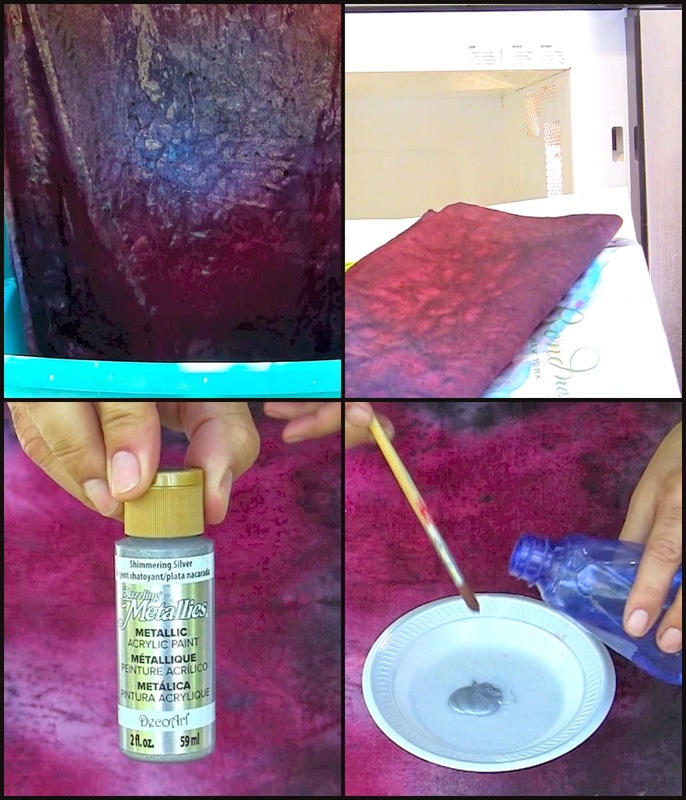 I used RIT Liquid Dye to create my fabric. 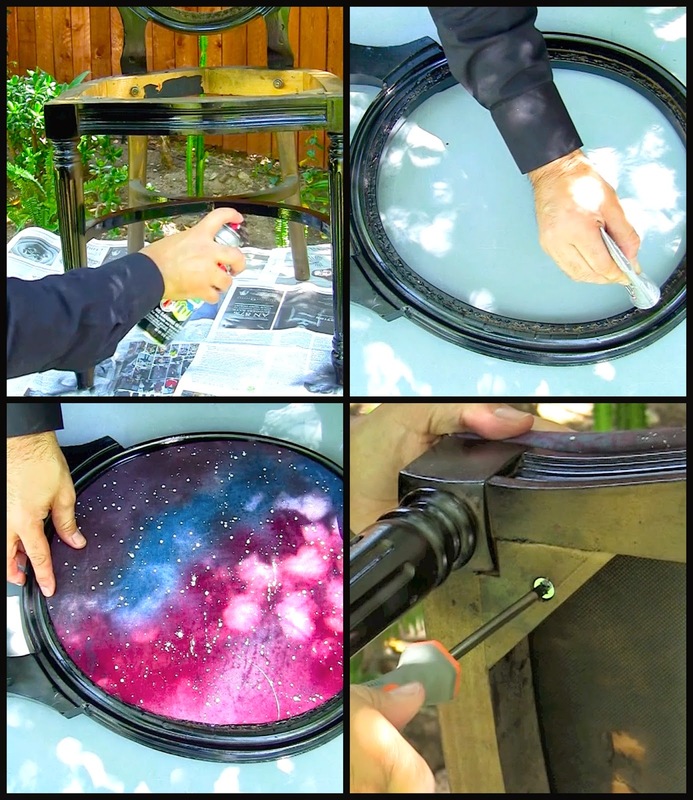 Just fill a spray bottle with the dyes and create your galaxy. It was really easy, too. For the stars I got to channel Jackson Pollock with some Dazzling Metallics in Silver. 1. 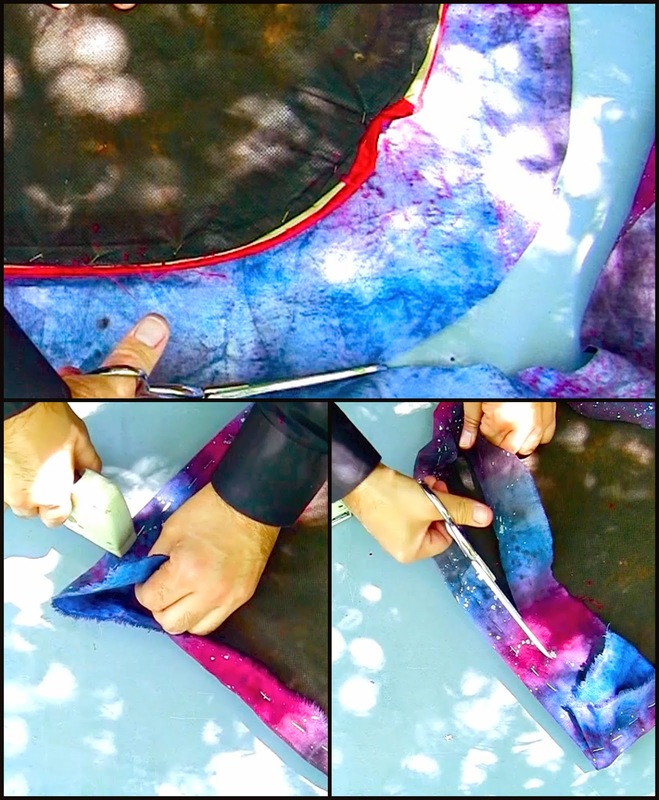 Wet your fabric with a spray bottle. 2. 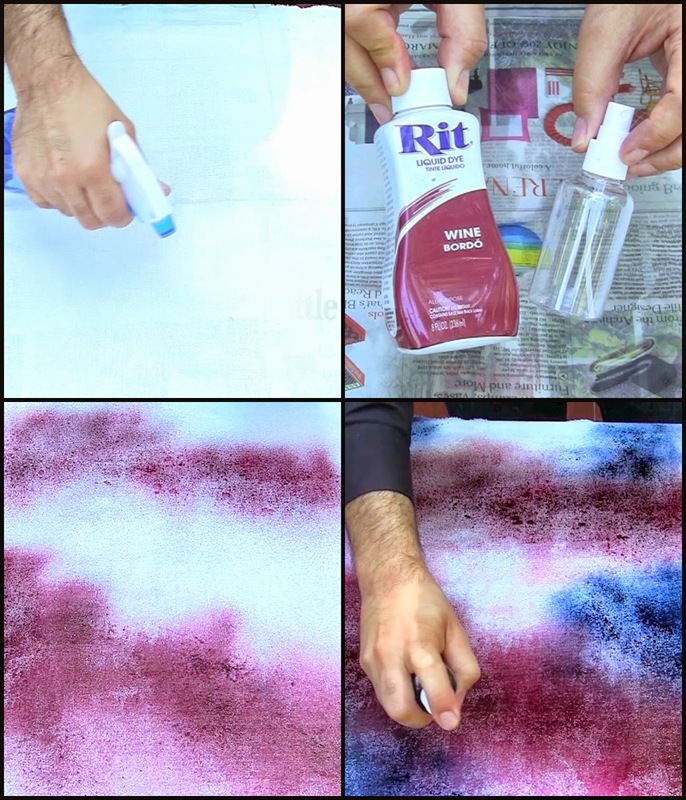 Fill a spray bottle with Rit Liquid Dye in Wine. 3. Spray your fabric as shown, don't cover everything, just two big lines. 4. 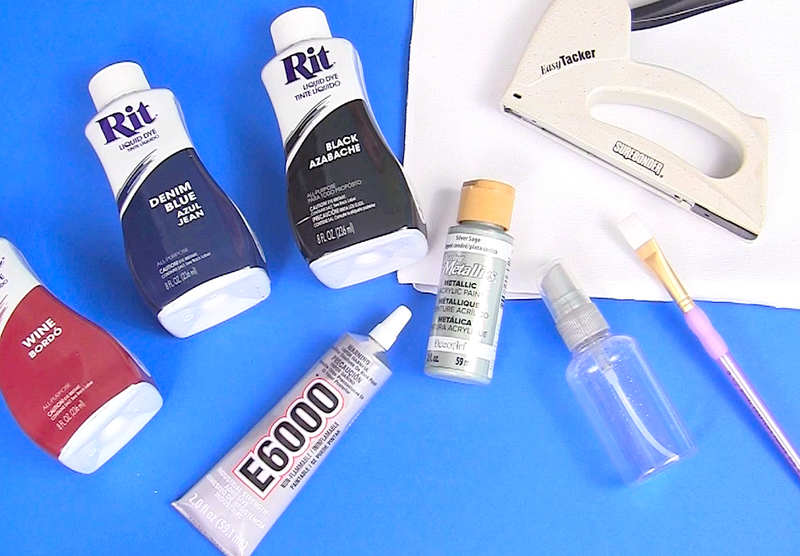 Fill your spray bottle with Rit Liquid Dye in Denim Blue. 5. Spray more of your canvas, but not all of it. 6. 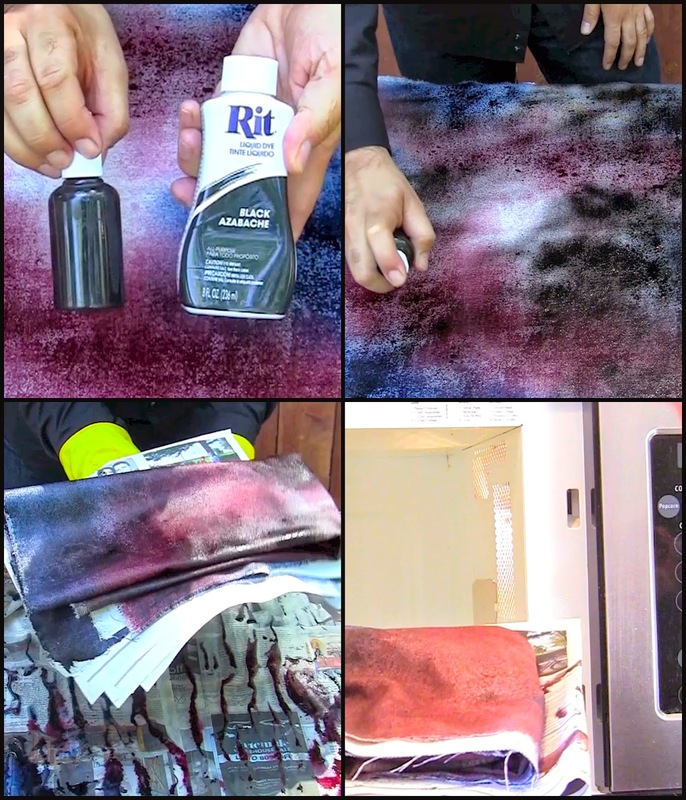 Fill your bottle with Rit Liquid Dye in Black. 7. Spray your fabric leaving some areas Wine, Blue and some white. 8. 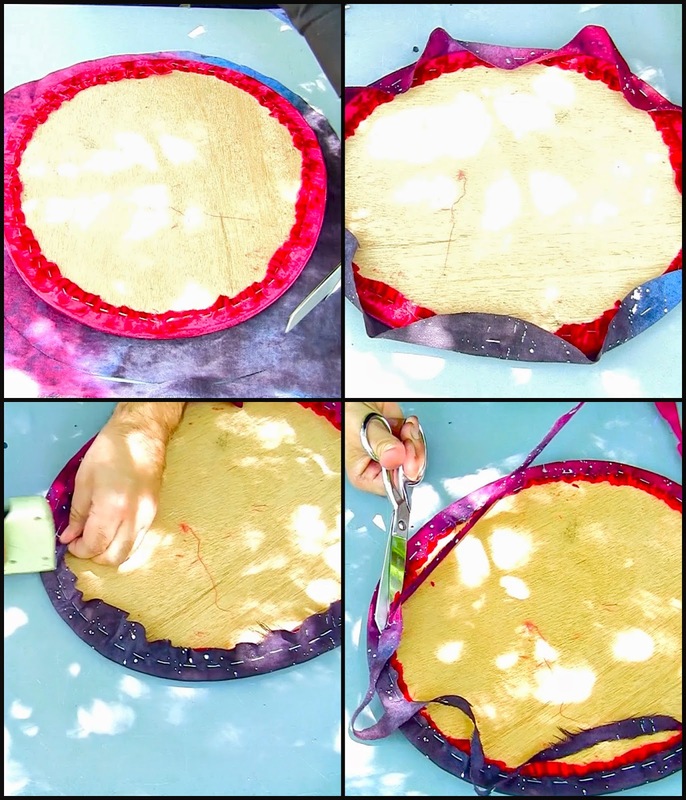 Let your fabric dry a bit, then fold it and microwave it on clean newspaper for 2 minutes. 9. Rinse your fabric until the water runs clear. 10. Microwave the fabric again for 2 minutes. 11. Water down some Dazzling Metallics in Silver. 12. 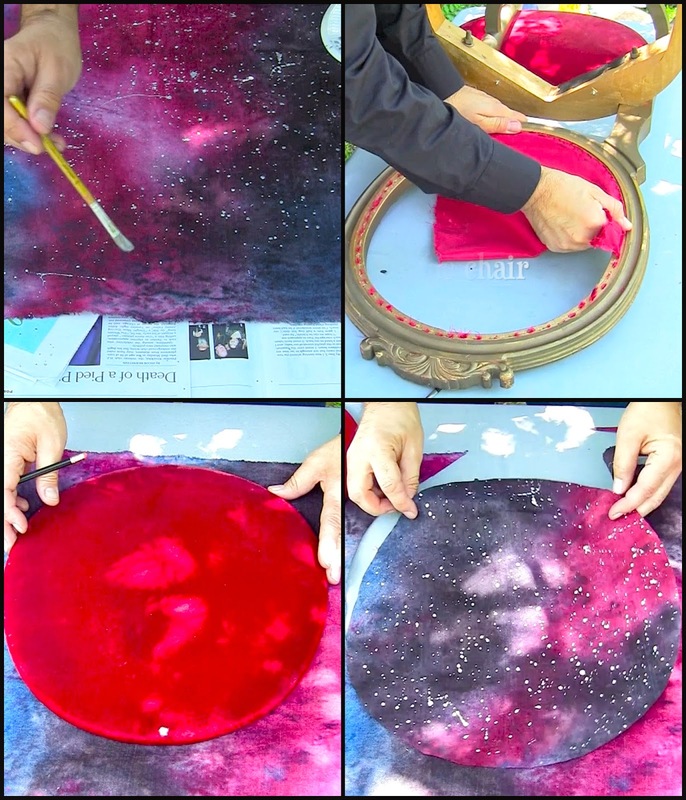 Splatter the dyed fabric to create stars. 13. Remove the seat cushion, dust and dirt from your chair. 14. Trace the pattern for your chair back (if you have one) and cut it out. 15. Lay your chair back on the fabric and cut around it adding 3" all the way around so that you can wrap it around and staple it on the back. 16. Staple on 4 sides of the back, then in between each of the four staples. 17. Fill in the gaps with staples all the way around and then trim off the excess fabric. 18. Lay your seat on the fabric and cut around it adding 3" all the way around. 19. Staple the fabric around the seat cushion to the underside and trim of the excess. 20. 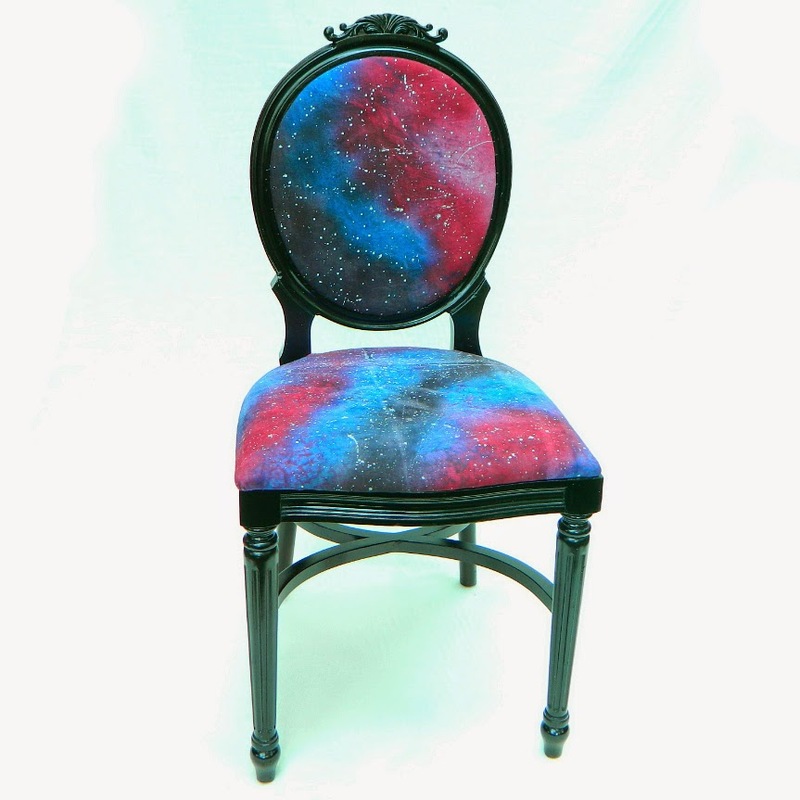 Spray paint your chair in Krylon gloss black. 21. 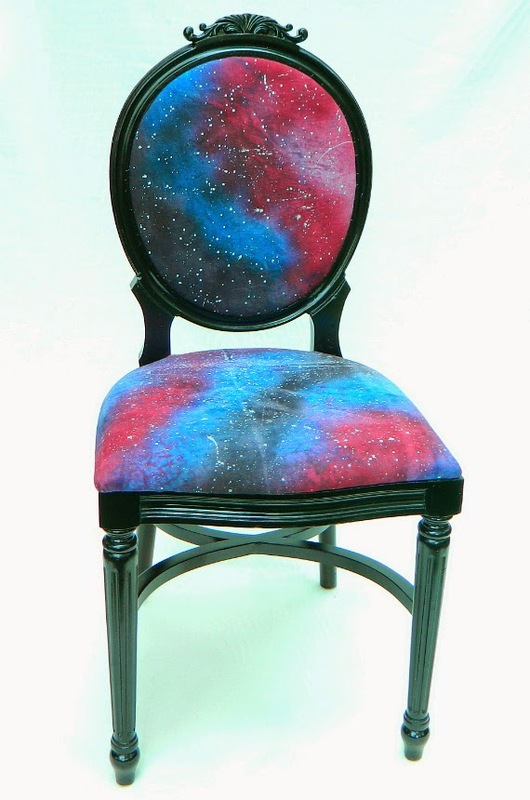 Glue the back of the chair on to the chair with E-6000. 22. Replace the upholstered seat cushion and you're done. You have no idea how much I love this! !